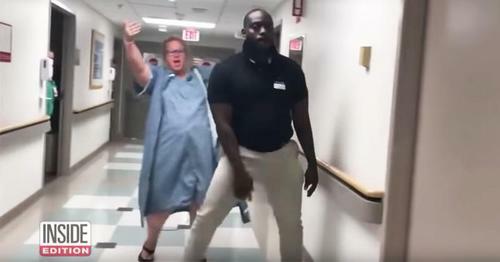 You will love this viral video of a mom so overcome with joy that she busts a move down the hospital hallway. 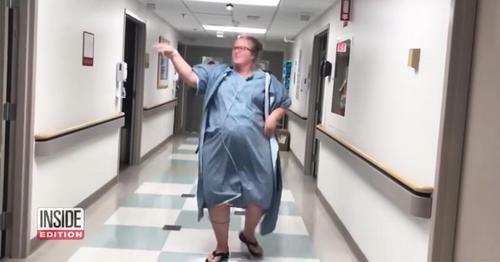 When Alicia Exantus showed up at the hospital to deliver her baby, she was so excited that she couldn’t help but dance! Few things are more joyful than welcoming a new life into the world. It is the highlight of any couple’s life together. For moms and dads who are about to have a child, the excitement, energy, and joy can sometimes be almost overwhelming. What are expectant parents to do? Dance, of course. Most couples who are waiting for a birth to happen usually hug or hold hands. That wasn’t the case with Alicia and her husband, Miller. These two are high energy people who like to get out on the dance floor, no matter the setting. As they waited for Alicia to be ready to deliver their child, they were so filled with joy that they burst into their favorite pastime. Soon they were dancing down the hallway of the hospital. Alicia got things going, throwing her hands in the air and letting her body express her feelings. Miller was not far behind, joining his wife in the celebration. It didn’t stop there. 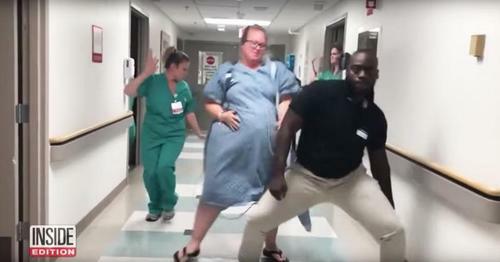 As “Baby Momma Dance” boomed out in the hospital wing, even the staff got caught up in the excitement. The delivery nurses surged into the hallway to join the happy couple. Who says that having a baby can’t be fun? 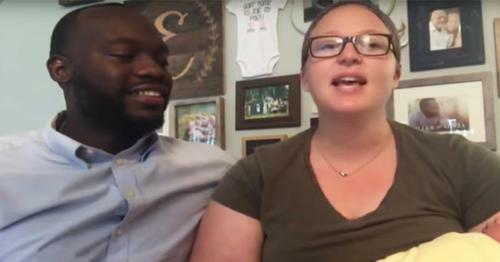 While most kids have pictures of themselves on the day that they are born, baby Tatum has a viral video that has become an internet sensation. When the time finally came for the birth of their child, Miller and Alicia brought that high level of energy into the delivery room. They needed all the energy they could get. Alicia was in labor for quite some time. It was 30 hours before she and Miller could welcome their child into the world. Fortunately, the delivery went well, and now the couple will have company when they hit the dance floor. It won’t be long before Tatum is dancing with mom and dad. In fact, with parents like Miller and Alicia, it may only be a matter of time before Tatum has a viral video. Did this video make you laugh? Send it to your friends and family to make their day a little brighter!